While bushfires are a part of life for Victoria residents, there are steps we all can take to defend our homes and families. The causes of bushfires are clear. Lightning is the highest cause and accounts for nearly half of the area burnt by bushfires. The second most common reason is a deliberately lit fire, although these tend to consume far less space than fires ignited by lightning. Public utilities, including power lines, ignite relatively few fires, but subsequently burn similar area to bushfires caused by a deliberately lit fire. Fires ignited by cigarettes, matches, and the like are mostly in and around urban areas and are typically attended to more efficiently and thus burn small tracts of land. Many other fires are caused by less familiar ignition sources or have unknown causes. With the causes by and large known, some agencies work in a myriad of ways to affect fire suppression in Victoria. The Country Fire Authority, Department of Environment, Land, Water & Planning, and the Metropolitan Fire Brigade, which covers the metropolitan area of Melbourne, are three such agencies. The Country Fire Authority is a statewide volunteer-based organisation responsible for providing graded warnings through different methods to areas of settlements that may be affected by the fire. Advice is given as general information to keep residents up-to-date with developments in the state of emergency. Following this is Watch and Act, letting inhabitants know the crisis threatens them and to take action to protect health, life, and family. When imminent danger faces the populous, the Emergency Warning is sent to advise that the emergency will impact the people and to take action immediately. Lastly, the All Clear message is sent to alert that emergency activity in the area has subsided and there is no longer a danger. The Department of Environment, Land, Water & Planning is responsible for public land, covering one-third of the state. Fire reduction burning is a planned burning, carried out by the DELWP to reduce fuel levels in parks and reserves throughout the state. Various planning strategies are devised and carried out by each of the local governments, the state government, councils, and stakeholder groups. Areas of Victoria identified in planning schemes to have fire risk are subject to special planning and building controls in Bushfire Management Overlays. Further, measures were introduced to permit vegetation removal in bushfire prone areas. In a statewide effort, the Residential Building Australian Standard has been adopted by the government to oversee the location, design, and construction of new dwellings in bushfire prone areas. This new standard includes consideration of Bushfire Attack Levels, which are based on many factors including slope, the proximity of vegetation, and Fire Danger Index. Community information guides are developed and provided to residents in high-risk areas of Victoria. These guides provide emergency contact details, a map and information on preparations, planned emergency service actions, and bushfire survival options. What can homeowners do to join the effort and take care to protect their family and property against bushfires? One important measure is to maintain gutters free of debris during summer months. UltraFlow Home Solutions delivers an effective product that will keep dry leaves from collecting in your home’s rain gutters. UltraFlow’s aluminum gutter guard mesh is reliable, flexible, and durable, creating a barrier across the top of your gutters. 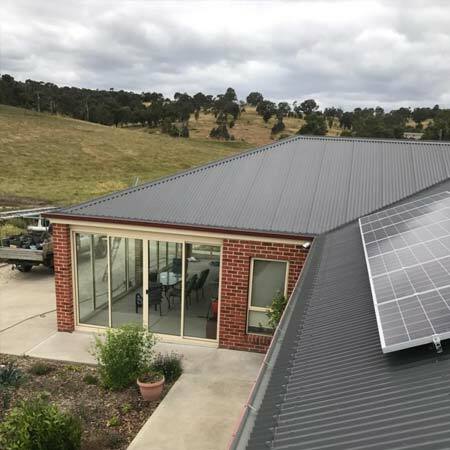 Unlike plastic, the aluminum mesh will not break down in sunlight or burn in a fire, but will last for years in effectively keeping ignitable material from accumulating in your gutters. 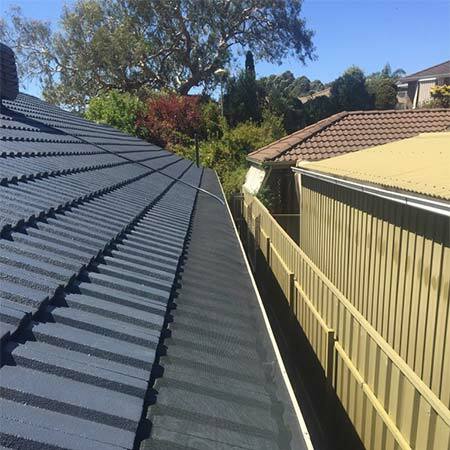 Additionally, the gutter guard is entirely compatible with Colorbond® roofing products. 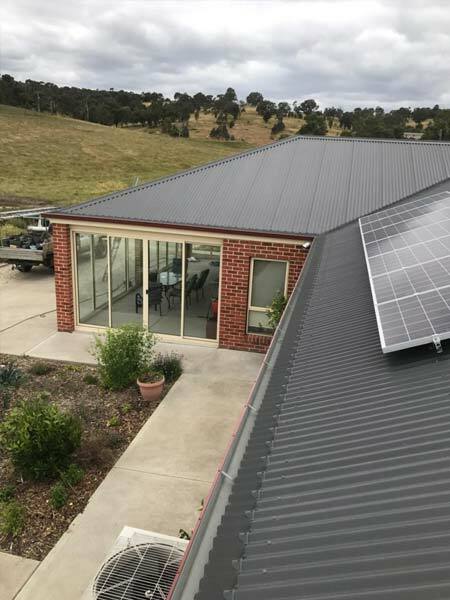 Feel secure in knowing that along with your local and state government agencies, you are doing everything you can to safeguard your home against bushfires with UltraFlow Home Solutions’ aluminum gutter guards. 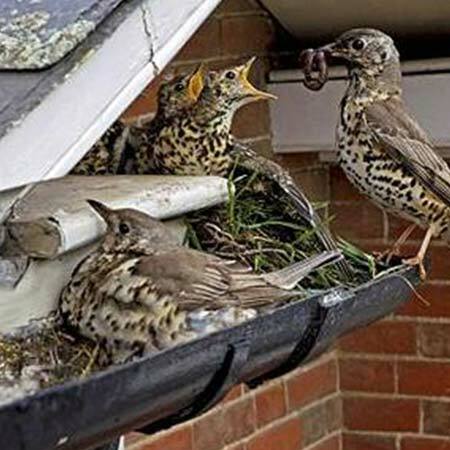 Contact us for a free gutter guard quote!